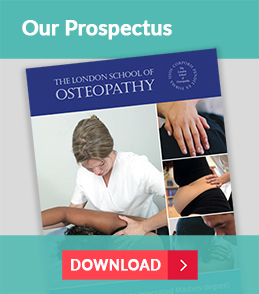 The London School of Osteopathy is a small friendly college. We welcome students from all backgrounds and walks of life. At the college we provide a nurturing environment where you are supported in both your academic studies and your practical training. We want our students to be fully involved with the life of the college. It is particularly important to us that we have student representation in our committees where their input helps direct policy and strategy. We are particularly proud of the way we support mature students and those who are undertaking a degree for the first time. Our ‘open door’ policy enables you to meet with tutors, clinicians and senior management with ease. Teaching takes place in small tutor groups which enables you to quickly get to know your fellow students and lecturers. All the academic staff are practising osteopaths, alongside their roles at the college – we are very much a college that ‘practices what we teach’. Clinical and practical osteopathy training is fundamental to our degree. We want our students to gain practical experience from the moment they start their degree course. Initially this will take place within the teaching rooms where students learn by working with each other. 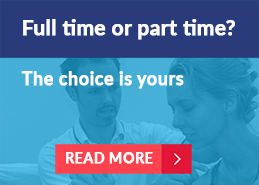 Within the first term you will start to spend time at our busy osteopathic clinic – meeting with patients from an early stage in your studies. Learning to communicate well is vital within a health care environment. We also have a strong focus on self-awareness and self-development, and provide sessions on wellness and resilience. By the time you graduate, you will have taken control of your learning, and be ready to practice autonomously. 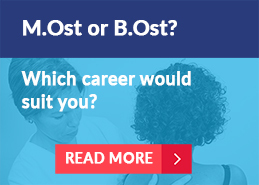 Come and find out more about how the London of School of Osteopathy can help you on your journey to a fulfilling career as an osteopath.